We have a great deal on the Microsoft Front-End Developer Training Bundle in our deals store today, you can save 97% off the normal retail price. 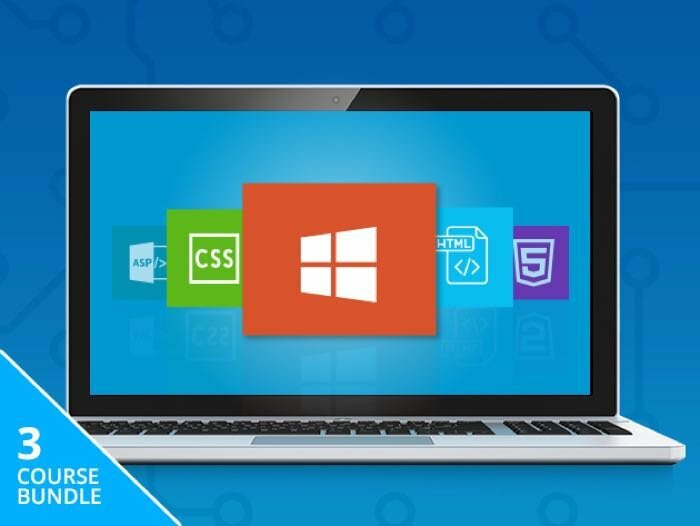 The Microsoft Front-End Developer Training Bundle normally costs $1,512 and we have it available in our deals store for just $39. The deal bundle comes with three different modules and you can see more information on the modules below. A website is only as good as its look, and this course will teach you how to give yours a full design makeover. You’ll learn how to create content-rich, polished and professional sites from the get go, and become familiar with some of the industry-leading design applications. Before you know it you’ll be building and polishing brilliant websites you can be proud of. There are softwares and non-coding techniques to help you design great websites, but the absolute best way to take complete creative control of your web design is by learning the CSS and XHTML programming languages. They are the bare bones of websites, and this course will teach you how to master them. More and more people are accessing web apps from mobile devices and tablets, which means it’s important to learn how to scale your applications efficiently when you build them. One of the best ways to do this is using Microsoft’s ASP.NET and HTML 5 technologies. This course will teach you how to build powerful, scalable and efficient apps using the ASP.NET MVC framework & HTML 5, thereby giving your apps a boost across multiple platforms. If you want to get this great deal on the Microsoft Front-End Developer Training Bundle for just $39 and save 97% off the normal price, head on over to our deals store at the link below.